TheStreet Ratings group highlights 4 stocks pushing the electronics industry lower today. MEMC Electronic Materials (NYSE:WFR) is trading at unusually high volume Wednesday with 13.8 million shares changing hands. It is currently at two times its average daily volume and trading down 74 cents (-13.5%). TheStreet Ratings group would like to highlight 3 stocks pushing the electronics industry lower today, March 13, 2013. How Do You Pay for the War, Daddy? A carbon tax would pay for our wars and provide some interesting investment opportunities. 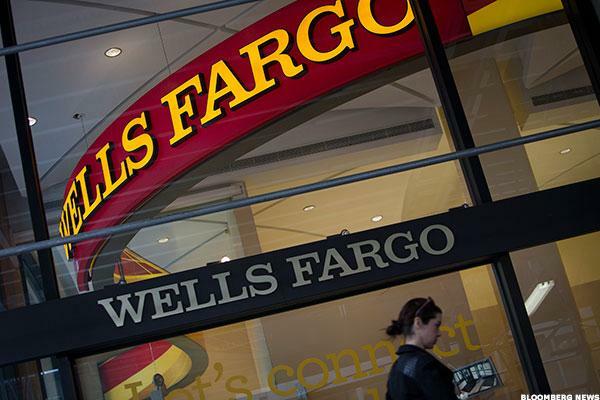 Wells Fargo & Company (NYSE: WFC) announced today it has provided project financing for an 11. MEMC Electronic Materials was a winner within the electronics industry, rising 2 cents (0.9%) to $2.16 on average volume. MEMC Electronic Materials (NYSE:WFR) hit a new 52-week low Tuesday as it is currently trading at $1.49, below its previous 52-week low of $1.52 with 4.2 million shares traded as of 2:55 p.m. ET. Average volume has been 7.3 million shares over the past 30 days. MEMC Electronic Materials (NYSE:WFR) hit a new 52-week low Wednesday as it is currently trading at $2.12, below its previous 52-week low of $2.13 with 3.5 million shares traded as of 2:20 p.m. ET. Average volume has been seven million shares over the past 30 days. These stocks slump to 52-week lows on Monday. MEMC Electronic Materials (NYSE:WFR) hit a new 52-week low Monday as it is currently trading at $3.30, below its previous 52-week low of $3.31 with 456,311 shares traded as of 9:45 a.m. ET. Average volume has been seven million shares over the past 30 days. Here are three unloved tech stocks viewed as smart money that can be even smarter money for you. MEMC Electronic Materials (NYSE:WFR) hit a new 52-week low Tuesday as it is currently trading at $3.48, below its previous 52-week low of $3.50 with one million shares traded as of 9:55 a.m. ET. Average volume has been 8.4 million shares over the past 30 days. MEMC Electronic Materials (NYSE:WFR) hit a new 52-week low Monday as it is currently trading at $3.64, below its previous 52-week low of $3.65 with 2.9 million shares traded as of 11:20 a.m. ET. Average volume has been 8.4 million shares over the past 30 days. MEMC Electronic Materials suggests in its 2012 outlook that the solar market outlook is too difficult to forecast. Another U.S. solar company enters bankruptcy, but Energy Conversion doesn't even top the list of solar stocks with bankruptcy risk. President Obama's State of the Union address laid out an ambitious energy agenda.